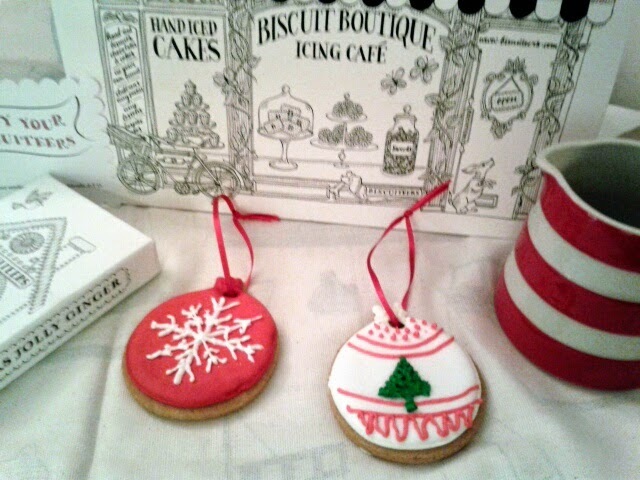 Whilst the fireworks were still sparkling in the sky, the festive season itself was beginning to twinkle when Fabric magazine sent me along to the quirky Icing Café, The Biscuiteers Boutique in Notting Hill. In the window, a ski chalet, made entirely from iced gingerbread was setting the festive mood, and on display inside the shop, an array of beautifully hand-decorated biscuits - rows of festive Jolly Gingers ('tis the season to be, after all), a nativity scene, and for the creative, a DIY gingerbread house. All of which can be gift-wrapped or presented in beautifully illustrated tins. There are even Biscuity Christmas cards - an edible AND ethical way to greet your loved ones this festive season. 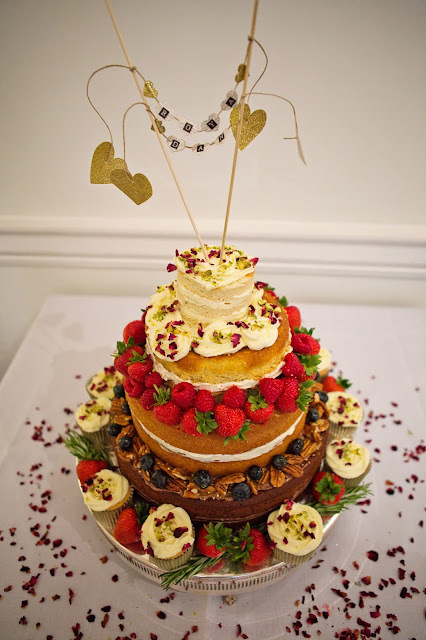 The Icing Cafe offers icing masterclasses, both for children and grown-ups (office party idea, perhaps? 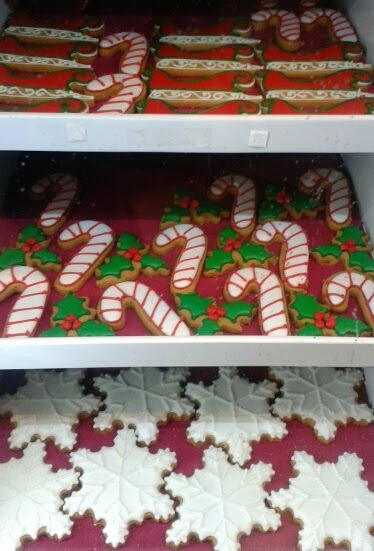 ), and a new Biscuiteers Boutique opened up at the end of November on Northcote Road, where all the in-house icing is done in an open kitchen, so clients can watch their bespoke biscuits being designed and decorated, while drinking a warming cuppa in a T.G. Green designer mug. 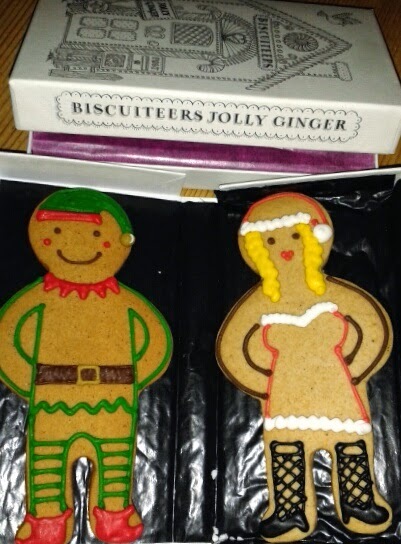 I'd love to stock up on some more bespoke Yuletide goodies, open those tantalising tins and fill some festive stockings and I hope to be back in Notting Hill soon to train as a real Biscuiteer.